Lucid and authoritative, the volume is an important contribution to the growing discipline of caste studies. 13. Can there be a Category called Dalit Muslims? Imtiaz Ahmad retired as Professor of Political Sociology at Jawaharlal Nehru University, New Delhi. 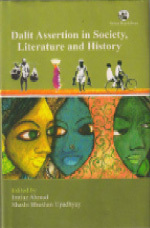 Shashi Bhushan Upadhyay is currently Reader of History at the Indira Gandhi National Open University, New Delhi.